“I think I was the one that wanted it more,” Macklin. Birmingham’s Matthew Macklin over came British middleweight friend but rival for the night Brian Rose after 12-hard fought rounds of action, each giving their all in an entertaining, domestic trade fight battle. Macklin had a point deducted in the tenth round for low blows in a war of attrition between the pair, but his busy approach and fast start saw him just grind out the win against the Blackpool man by majority decision with judges scores of 113-113, 115-111 and 115-111. Rose started the fight well with the jab and landed some nice straight right hands in the fight. He throughout used his jab to good effect and was very cages behind his tight defence. Macklin came forward throughout and him too used his stiff jab to good effect. The busy Macklin forced the pace looking too put Rose onto the back foot and looked to punish Rose to the body as he hooked to the ribs and tried to get behind Roses elbows. Both men wore the signs of battle by the midway stage and Rose’s jabs had Macklin’s left eye starting to swell. Rose was working hard to stop Macklin in his tracks and landed his own telling shots that had Macklin having to think about his attacks. Both were feeling the pace now and both wore the signs of battle around their face, Rose suffering cuts on his eye and his venerable nose which has been broke in the past. As Rose looked to step on the gas in the second half of the fight, he caught Macklin again with some nice right back hands and was having success. Macklin became a little ragged and frustrated trying to land and in the 10th round was docked a point for a second low blow. Macklin upset by the point deduction went on the attack in the 11th, but picked up another warning from the referee for his rough house tactics. 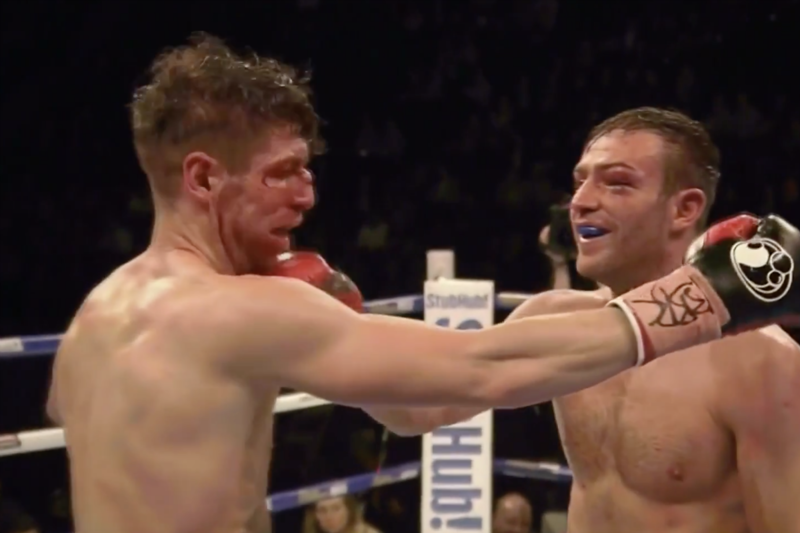 Both gave it their all and maybe Rose’s fate was sealed when in the 12th and last round he too was deducted a point for holding as Macklin attacked him relentlessly. Both boxer embraced and smiled at each other at the sound off the final bell and the respect they had before hand for each other grew massively after sharing the ring for twelve hard rounds in a good domestic fight. “I think I was the one that wanted it more,” said Macklin. 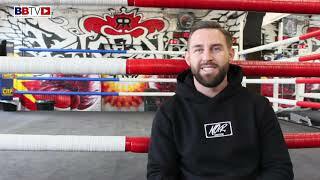 The fight was billed as a cross roads fight for both and Macklin said he would consider retirement if he lost, he can now move on and chase another shot at a world title before he hangs up the gloves on what has been a excellent career and one he has always given his all and entertained. Macklin vs Moore! Need we say more! For Rose he can still reinvent himself and come again, there is more in the Lion for sure.